Document management software (DMS) and enterprise content management (ECM) systems are extremely beneficial to businesses big or small. Being able to find, share, collaborate, archive or protect your organization’s documents is a huge benefit. 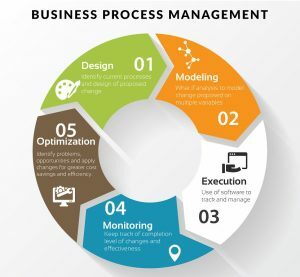 However, one area where businesses can benefit greatly from these systems is the ability to optimize the management of business processes and workflows. With the M-Files workflow engine, routine company tasks can be automated and assignments for company tasks can be assigned to the parties responsible – without any programming. When a task is assigned, the person responsible receives notifications pertaining that task. Documents can have multiple people assigned, and conversely, an assignment can be tied to several documents. Within M-Files workflows the state of a document (“draft,” “waiting for approval,” “approved”) as well as approvals can easily be defined by an administrator. Managers can then monitor progress made or approve any completed tasks. M-Files can be configured for reviewing purchase orders, contract approvals, processing leave applications and a host of other use cases that need to be reviewed, edited or approved by several parties within an organization, and it keeps a full audit trail for the different use cases your organization needs. Invoice processing with M-Files is made so much easier. 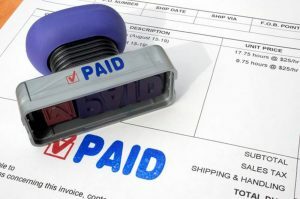 Invoice processing workflows in M-Files have various state options: “received,” “waiting for approval,” “approved,” “rejected,” and “paid in full”. These can be configured to your invoices, and you can also define who within your organization gets to change documents in and out of a certain state. For instance, you can configure it so that only the managing director of an organization can approve an invoice, and only the finance manager can confirm if an invoice has been settled fully by setting the “paid in full” state option. M-Files has additional properties such as “assigned to,” “assignment description,” “monitored by,” “deadline,” and “task completed”, but can just as easily be configured to suit the needs of your organization. Anyone who is part of the processing chain receives an email during stages of the process that they are needed. Looking for or viewing the invoices is just as easy within M-Files. Through invoice metadata, you can sort out invoices by the customer, by the date, by the state (i.e., approved, waiting for approval) or any other piece of information that defines that particular invoice. Business processes do not always have to be centred around documents. M-Files workflow capabilities are also good for other areas such as projects, equipment/inventory management, maintenance tasks, etc. For project management, a project can be restricted from moving to the next phase if a certain task is still incomplete. Member roles in a project can be defined, and tasks can also be assigned as part of a workflow with a deadline for each phase. Making use of M-Files workflow features can have a huge impact on how your organization’s assets and processes are managed. However, the M-Files mobile app delivers an even greater ROI from your enterprise content management (ECM) system. According to Gartner, in 2018, more than 50% of employees will be on mobile (tablets or smartphone). 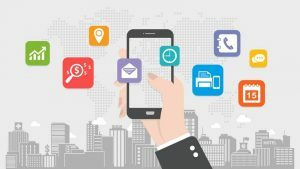 M-Files thus provides a unique opportunity to have timely approvals within the organization for employees who are on the go. The good news is that M-Files has mobile apps for iPhone, iPad, Android, and Windows Phones. This will let employees quickly approve documents, sign off on completed or pending tasks… All while using their mobile phones!